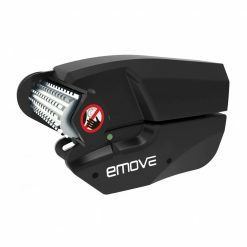 With 10 Years of development, this E-move EM203 caravan mover is designed to offer power, reliability and is exceptional value for money. 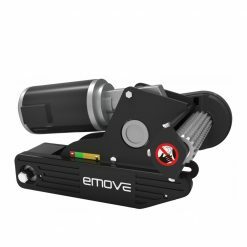 In the Easy-Wind range of Emove caravan movers, the EM303 is the flagship model. It builds on the great success of the EM203 but includes more features. 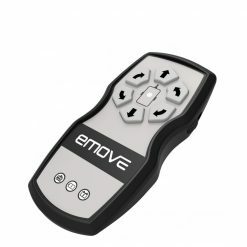 The EM305 Auto is the top of the E-move range. 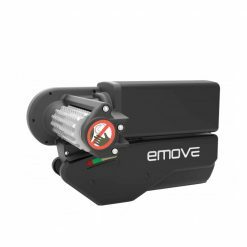 It features all of the benefits of the EM303A caravan mover and has the addition of an automatic electric roller engage system. From unhitch to level pitch in 2 minutes! 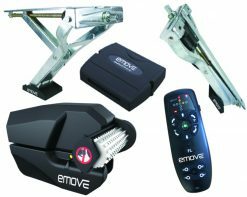 Automatic mover and caravan self levelling system – The complete kit consists of electric engage EMOVE caravan mover with all season covers.